Everyone always asks what is my soul purpose or what is my mission here on Earth. We wonder why we are here and what we should be doing. This simplest and most profound answer is it's not about you- it's all about the children! If you want to have a positive impact on the world then help a child. Children in this modern world are under more stress and pressure than any other generation. It is our responsibility to help them not just cope with the world dynamics our generations have created but to thrive! There are a myriad of simple ways we can teach our kids how to find peace, stability, strength, confidence, and joy. Unfortunately many parents were never taught these skills so we do not know how to offer this support to our children. At Muktinath we are trying to fill in the missing pieces for our kids- teach them how to meditate, to understand the energy within and around them, how to protect themselves, how to live from a place of empowerment, to be compassionate and loving to themselves and others, to cherish life as a gift, and how to walk gently and respectfully on this earth. Kids will learn simple meditation techniques in a fun experiential way. It will include meditation, music, activities, exercise and play. This is not a drop off program. Parents are welcome to stay and participate in the fun or join us in our adult meditations often offered at the same time. Please check our Upcoming Classes & Events page for upcoming classes! Reiki is an ancient method of natural healing that strengthens and balances the body, mind, and spirit. Reiki is channeled by the laying of hands over the energy centers of the body, allowing your body to achieve a level of deep relaxation that promotes healing within yourself. With their natural curiosity, loving hearts and exuberance for life, children learn Reiki quickly and find it a useful fun tool they can use to support their growth into adulthood. In this workshop children will learn about Reiki healing in a fun and playful setting through storytelling, art, and interactive play. Practicing Reiki offers a calming and soothing experience that promotes relaxation and confidence for the child. Learning these techniques at a young age promotes a healthy way of living throughout their adult lives, helping them make better choices and create balance. All children will receive a Reiki I attunement and learn all age appropriate teachings around how to use the Reiki for self healing and for simple healing of family and pets. Each child will receive a certificate and reiki manual. Parents are present throughout the course and encouraged to participate and ask questions. In the this class children will learn how to connect with the angels. Each week we will introduce a new angel or angels for them to learn about. Teaching will be through meditation, art projects, and play. Each child will build a collection of special crystals to go home with to remind them of their connection. Learning about the angels can help kids to feel more confident, loved and safe in their world! Offered by Cheryl “Durga Ma'“. $100 for all 4 weeks. CHAKRAS is a fantastic opportunity for kids to learn and understand the energy centers of their body. The chakras encompass all of who we are from our basic needs to our perception of our world. The health of the chakras can affect children's behavioral choices and emotional and psychological wellbeing. Through hands on activities kids will creatively connect with their own chakras. This program will be held at the tipi at Rowanwood Farm located at 31 Chestnut Hill Rd Sandyhook, CT.
All Children MUST arrive 10 min early and pickup is promptly at 12:45pm. Children may bring a brown bag snack with their name on it. No peanut products. This class is taking place both inside the tipi on on the farm property. Please dress them in appropriate footwear and apply sunscreen and bug control at home. Please call or txt 203-518-5808 if your child is unable to attend at the last minute. Child must be picked up by the parent that brought them or by name and id of a second authorized person. SOUND is a fantastic opportunity for kids to explore the benefits of sound and music. Music and Sound brings out the positive emotions of happiness and joy and can also bring a sense of internal peace. Kids will learn how their body responds to sound and music so they can learn how to better understand their own bodies and emotional states. This class incorporates all different styles of sound and music in a fun and playful way. MINDFULNESS is a fantastic opportunity for kids to explore the many benefits of practicing mindfulness. Kids will learn to tell the difference between their emotions and others emotions. When kids learn to apply mindfulness they are more resilient to the stressors of life. They will learn skills to help them stay in the moment and maintain the beauty of their childlike mindset as they grow into emotionally balanced adults. The kids will explore this through playful interactive exercises or games and age appropriate meditation. Reiki is an ancient method of natural healing that strengthens and balances the body, mind, and spirit. Reiki is channeled by the laying of hands over the energy centers of the body, allowing your body to achieve a level of deep relaxation that promotes healing within yourself. With their natural curiosity, loving hearts and exuberance for life, children learn Reiki quickly and find it a useful fun tool they can use to support their growth into adulthood. In this class children will learn about Reiki healing in a fun and playful setting through storytelling, art, and interactive play. All children will receive a Reiki I attunement and learn all age appropriate teachings around how to use the Reiki for self healing and for simple healing of family and pets. Each child will receive a certificate and Reiki manual. In school kids learn about the science of rocks and crystals, we invite the child to move out of that box and explore the relationship between humans and crystals that began at the beginning of time. Children will have the opportunity to explore using their own intuition as they work with the crystals throughout the day. Interactive activities will help children discover why they have always been fascinated with rocks and crystals. CHAKRAS is a fantastic opportunity for teens to learn and understand the energy centers of their body. The chakras encompass all of who we are from our basic needs to our perception of our world. The health of the chakras can affect teen's behavioral choices and emotional and psychological wellbeing. 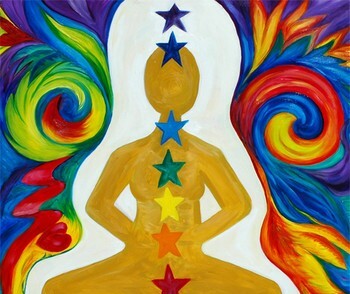 Through interactive programs teens will creatively connect with their own chakras.Understanding of the chakras can help a teen to navigate through the sea of emotions and environmental stressors they must cope with on a daily basis. This class will be held at the tipi at Rowanwood Farm located at 31 CHestnut Hill Rd Sandyhook, CT.
All teens MUST arrive 10 min early and pickup is promptly at 5pm. If desired they may bring a brown bag snack. No peanut products. This class is taking place both inside the tipi on on the farm property. Please have them dress in appropriate footwear and apply sunscreen and bug control at home. Please call or txt 203-518-5808 if your teen is unable to attend at the last minute. Teen must be picked up by the parent that brought them or by name and id of a second authorized person. SOUND is a fantastic opportunity for teens to explore the benefits of sound and music. Music and Sound brings out the positive emotions of happiness and joy and can also bring a sense of internal peace. Teens will learn how their body responds to sound and music so they can learn how to better understand their own bodies and emotional states. This class incorporates all different styles of sound and music in a fun and playful way. Reiki is an ancient method of natural healing that strengthens and balances the body, mind, and spirit. Reiki is channeled by the laying of hands over the energy centers of the body, allowing your body to achieve a level of deep relaxation that promotes healing within yourself. With their natural curiosity, loving hearts and exuberance for life, teens learn Reiki quickly and find it a useful fun tool they can use to support their growth into adulthood. Practicing Reiki offers a calming and soothing experience that promotes relaxation and confidence for the teen. Learning these techniques at a young age promotes a healthy way of living throughout their adult lives, helping them make better choices and create balance. All teens will receive a Reiki I attunement and learn all age appropriate teachings around how to use the Reiki for self healing and for simple healing of family and pets. Each teen will receive a certificate and Reiki manual. In school teens learn about the science of rocks and crystals in geology class, we invite the teen to move out of that box and explore the relationship between humans and crystals that began at the beginning of time. Teens will have the opportunity to explore using their own intuition as they work with the crystals throughout the day. Interactive activities will help teens discover how crystals can help to release emotions, bring them to balance, help create a positive outcome in certain life experiences, and so much more!